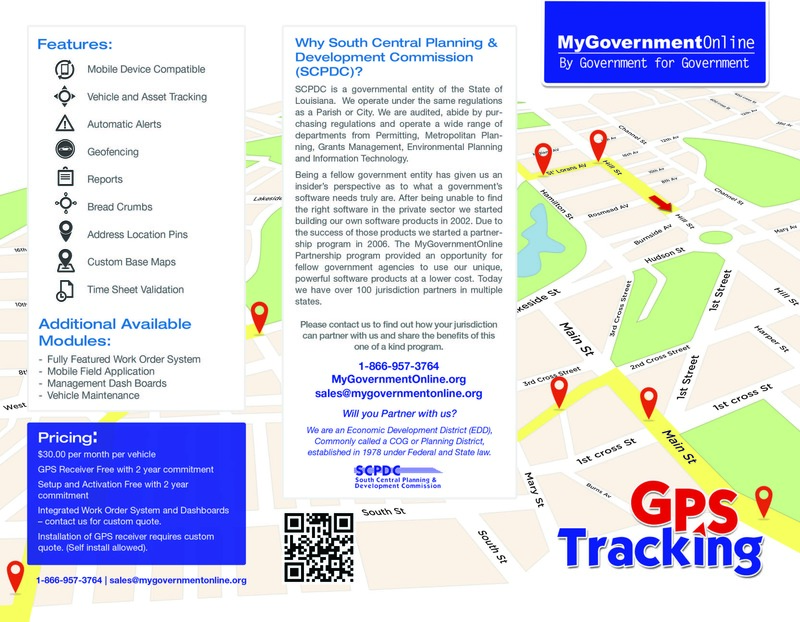 Through the MyGovernmentOnline Partnership Program, the South Central Planning and Development Commission (SCPDC) recently added its newest addition to an array of powerful software products that provide opportunities for government entities to effectively manage field jobs, enforce building permits and licensing, viewing site plans, developing project reports, and now tracking vehicles and other assets. This GPS Tracking software is not only cost-effective but also user-friendly. 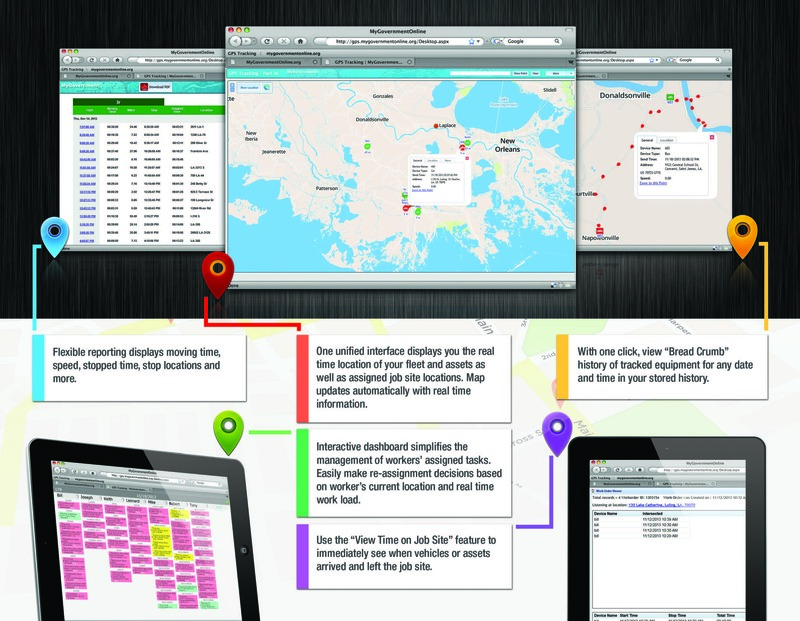 It features flexible reporting and unified interface that allows you to see real-time location of your fleet and assets as well as assigned job site locations. With its interactive dashboard, one can simplify managing of workers’ assigned tasks and easily re-assign decisions based on their location and work load. Contact 1-866-957-3764 or email sales@mygovernmentonline.org for more information.